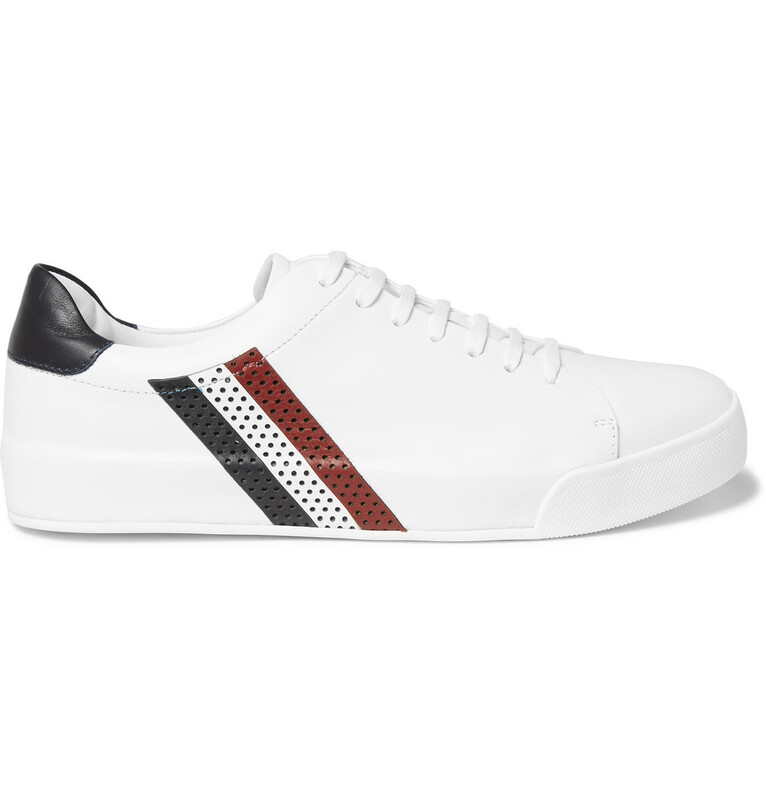 Moncler's 'Remi' sneakers are crafted from smooth white leather in a classic low profile. This sleek and sophisticated pair is detailed with the house's signature tricolour stripes and perforated for a sporty finish. Wear them to give casual looks a considered grounding.